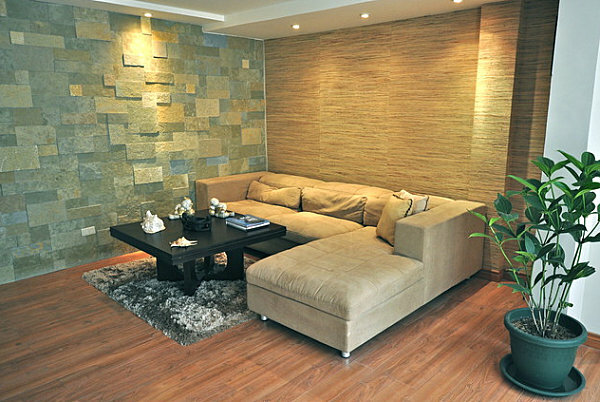 You’re looking forward to settling in for the night, but as you reach for the remote control, you trip over the bulky coffee table and find yourself face to face with the rug! 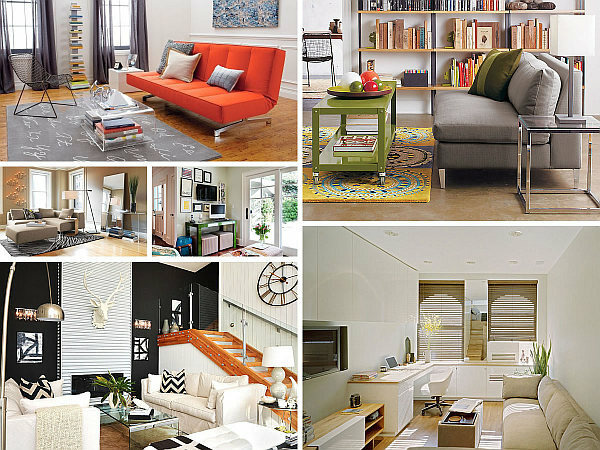 If only you had more space in that tiny living room… Guess what? You’re not alone. Even inhabitants of roomier living spaces often lament that they don’t have a larger area for entertaining, lounging or visiting with family. 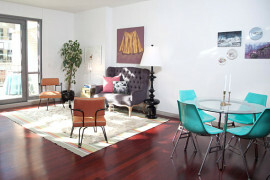 The bottom line: unless a remodel is in the budget, we must appreciate the space we have. And there’s no better way to do this than by making some strategic design choices! 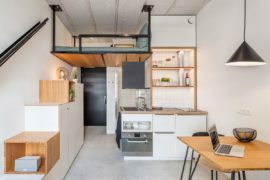 If you live in the middle of a large city, chances are you have a condo or an apartment that may not be as roomy as you wish. 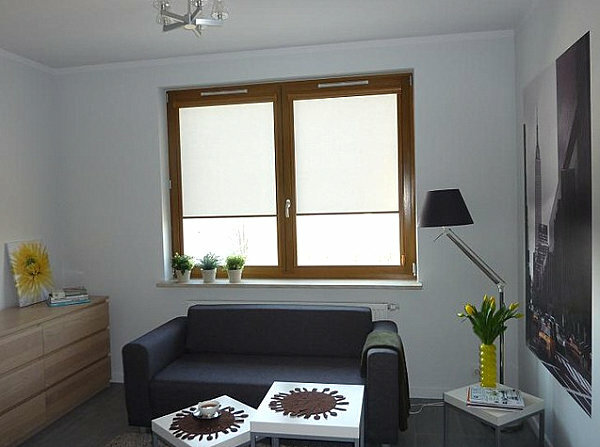 Or perhaps you have a large family, and your living room is a crowded hub of activity. Never fear! 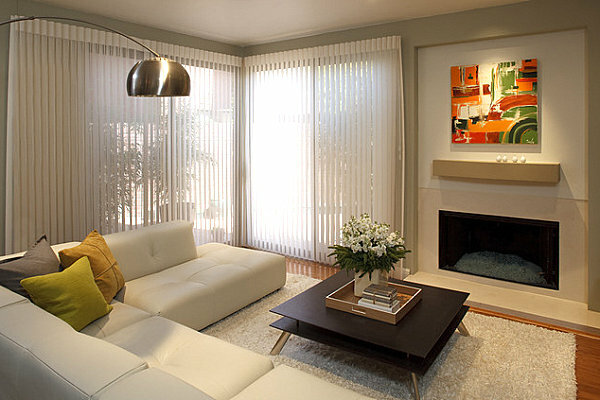 By showcasing furniture that’s a good fit for your home, you can create the illusion of space. Not to mention, you’ll have more room to navigate the area. 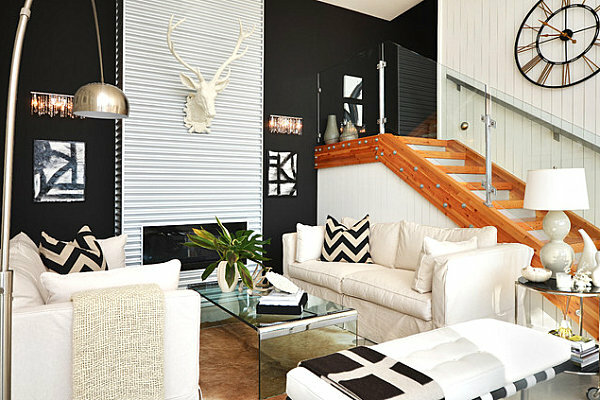 Below we feature a variety of living rooms that show you how to make the most of your space. Another great piece? 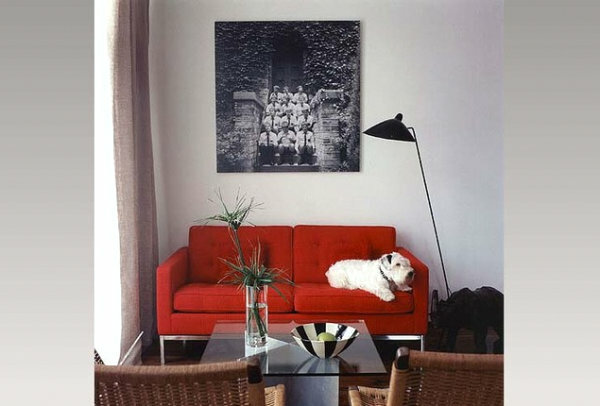 the Flex Orange Sleeper Sofa, also from CB2. 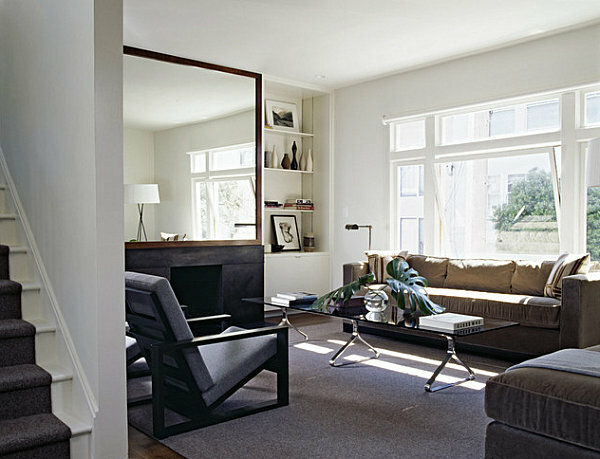 Not to mention, if you have company, this sofa can accommodate an overnight guest. 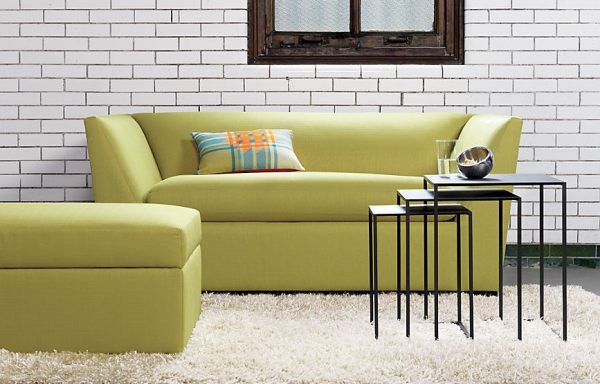 As one final tribute to the “every piece counts” mentality, we spotlight the Julius Grass Storage Ottoman from CB2. 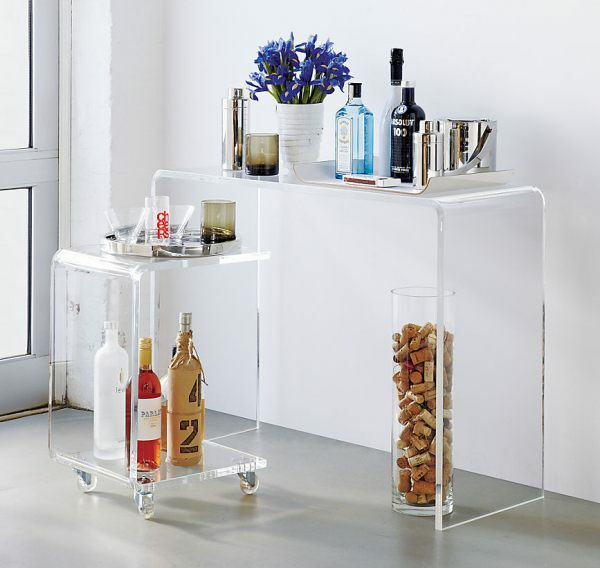 If you have limited space, why not choose a furnishing that can serve more than one purpose? 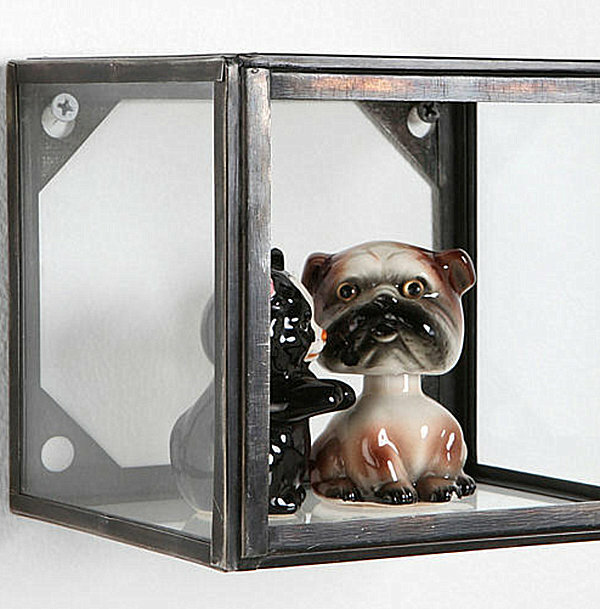 Need a place to stash unwanted clutter? 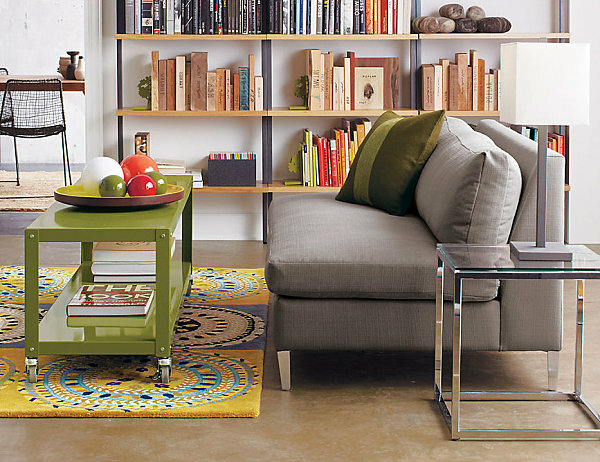 The ottoman opens up, offering a storage receptacle for your convenience. Need a place to rest your feet? Use the ottoman. Need an extra seat for a guest? You get the idea! 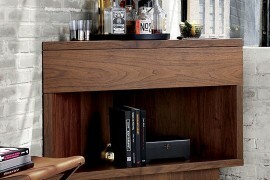 …and the Peekaboo Clear Media Console, which is helpful in three distinct ways. It’s compact. It’s transparent. And it has two levels for maximum storage. Compact perfection! 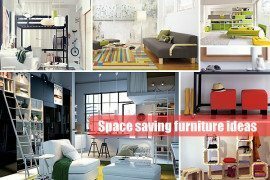 Your living room shouldn’t serve the same storage function as your closet, but you will probably need to use at least part of the space to hold your stuff. You know, items like DVDs, magazines, books and collectibles. 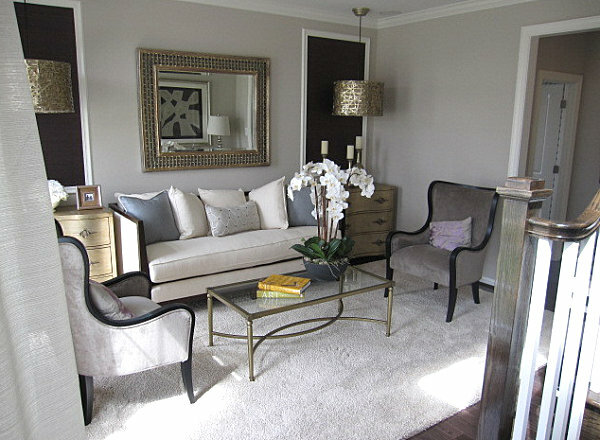 Only the rarest of rooms can afford to feature nothing more than furniture and a couple of vases. 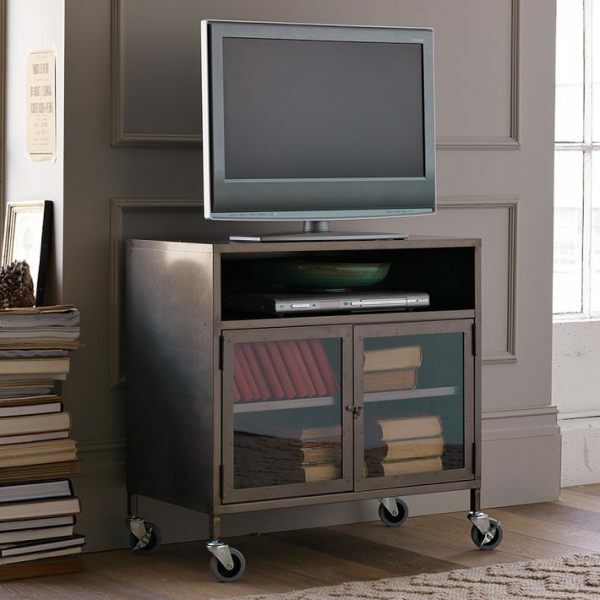 Good thing retailers like West Elm carry pieces such as the Industrial Metal TV Cart, which includes a built-in cabinet to hold whatever you desire. 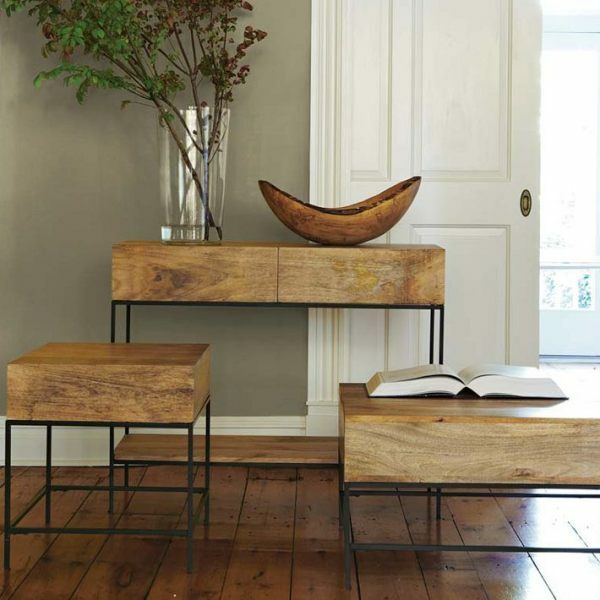 For a more subtle storage solution, check out the Rustic Storage Tables, also from West Elm. Deep drawers are practically hidden. And they hide your belongings, too! Don’t underestimate the power of wall-mounted storage. 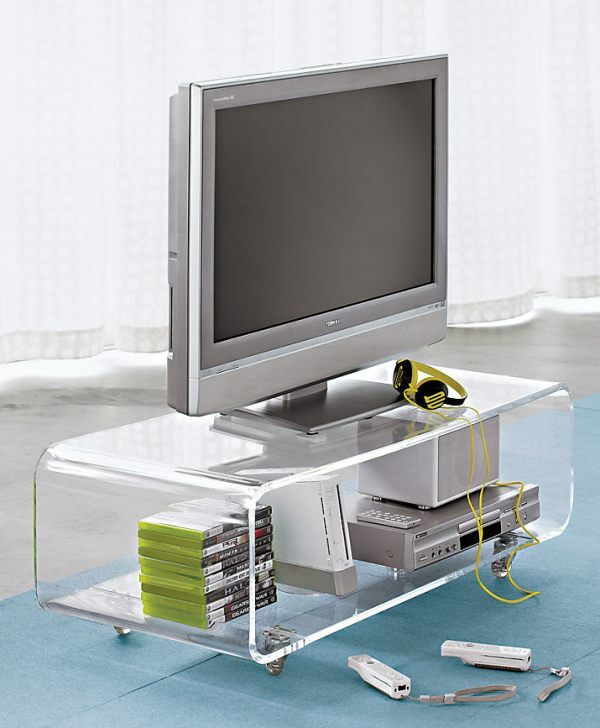 Like the Invisible Book Shelf from Urban Outfitters. 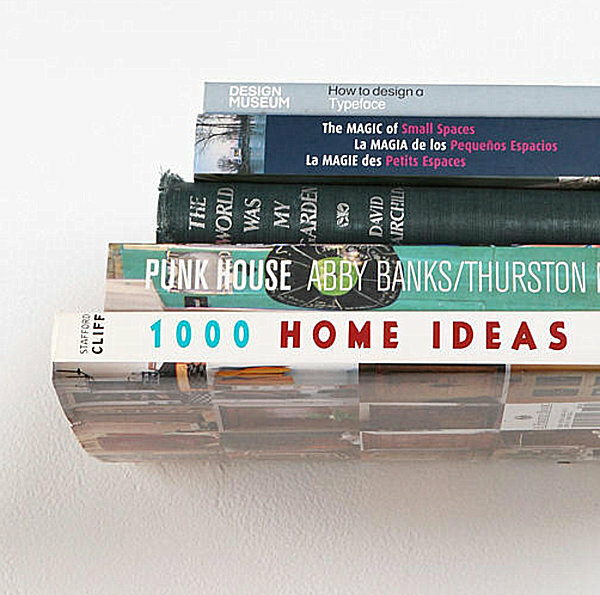 This subtle powder coated steel piece hides itself from view, creating the illusion of books that float against the wall. Interesting and efficient! 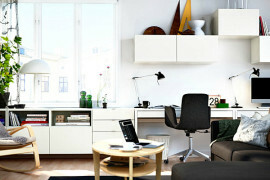 Following strategic design tips can help immensely with your space-saving needs. But sometimes you just need to de-clutter. 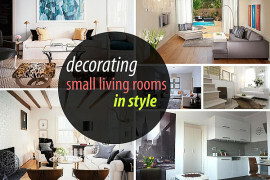 When occupying a smaller home, it may not be possible to display every decorative item you have. Purchase a couple of large plastic bins, and use them to store decor that is currently “on hold.” Pack it away in the closet. You can rotate items seasonally, or save your decorative stash for a rainy day, when you’re tired of looking at the pieces that are currently on display. 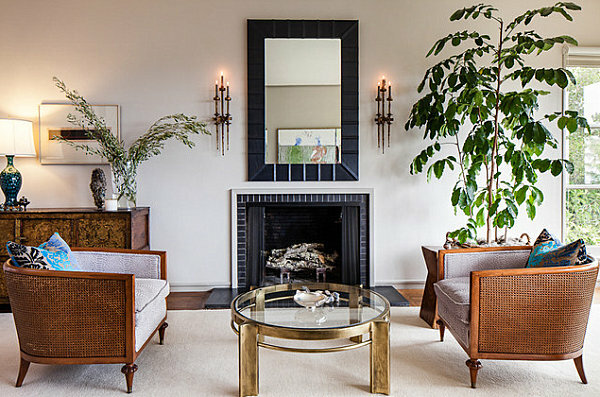 How do you know when it’s time to donate furniture and accessories? There’s no right answer, but if you haven’t used it for years and have no desire to dig it out in the future, it may be time to say goodbye. After all, as today’s post has shown, sometimes less is more!